Which isn't that far off! 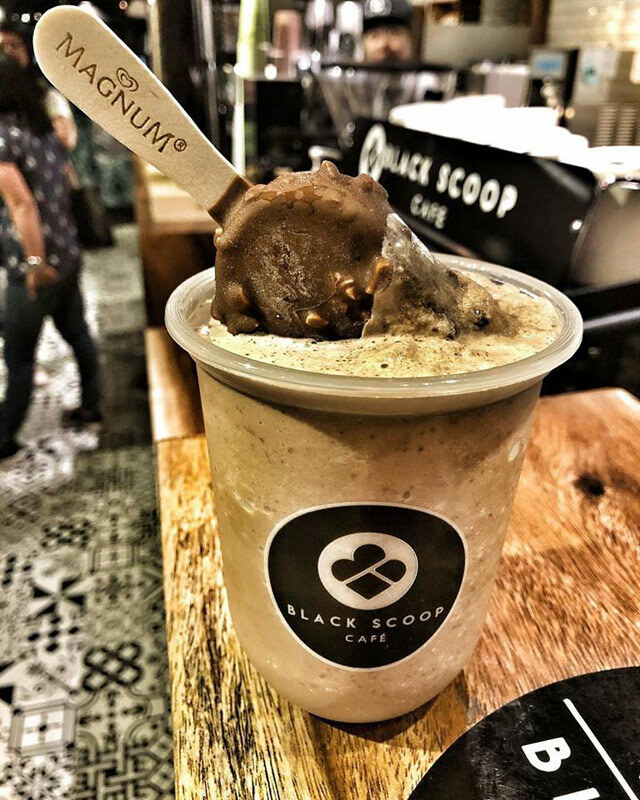 (SPOT.ph) Maginhawa's new dessert café, Black Scoop Café only opened last July 2018, but they're already making waves for their milk-tea soft-serve. 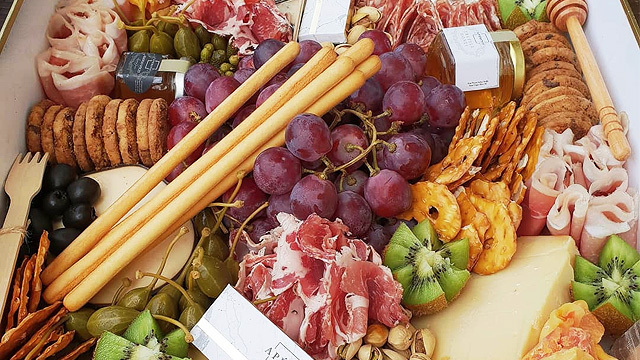 But it isn't the only delectable treat the café has going for them: They also have other toothsome creations like an Activated Charcoal Mascarpone Soft Serve, lattes, cheese-topped tea, and more. 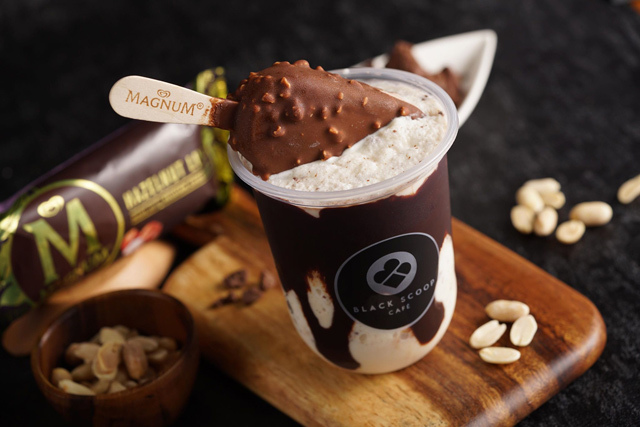 It looks like they've got even more treats up their sleeve: Black Scoop recently collaborated with Magnum Ice Cream for popsicle-topped treats that are a delight for both your eyes and sweet tooth. The White Mocha Miracle is a sweet way to have your caffeine fix. 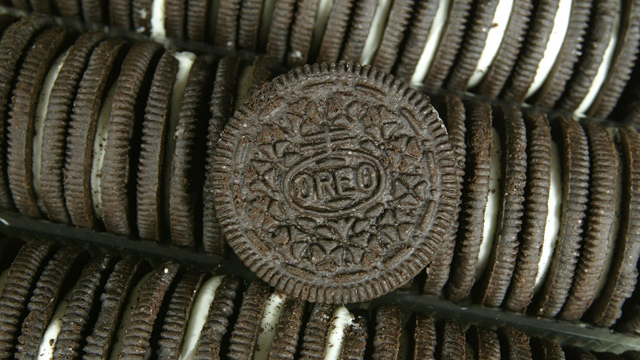 Get the best of two worlds with the Magnificent Double Dutch, which combines chocolate and vanilla. 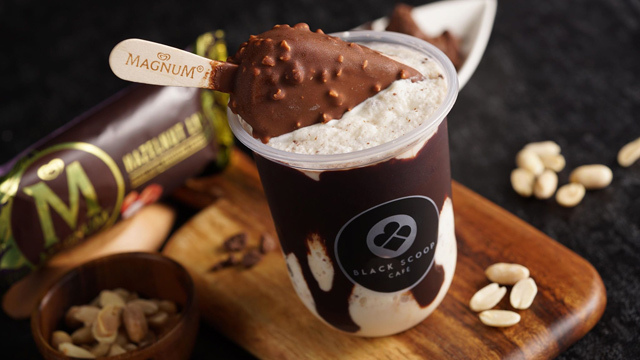 Not only do each of the new frappes come with a Magnum chocolate shell-covered ice-cream bar, but the drinks themselves will take your sweet tooth to heaven. There's the Merry Triple Chocolate (P180), with three kinds of chocolate blended with milk and ice; the Magnificent Double Dutch (P180), with a blend of creamy vanilla and dark chocolate; and the White Mocha Miracle (P180), with white chocolate and a shot of espresso. The drinks will only be available until December 31 so better get them quick!